There is a variety of Internet revolution in India. Every other day new people are joining the Internet. In this case, why the Government of India is behind From filing RTI to applying for PAN card, everything is possible online. A digital card of Aadhar card can also be downloaded. Due to digital governance, applying for many things has become easier than before. This facility is applicable even if applying for the passport. The good thing is that the online passport application process has been kept very easy. The government also wants that the public should not be troubled by the necessity of passport required service. Many people began to get a headache after thinking about applying for passports first. Even so, many people still get annoyed with small things, such as how to fill the form and which papers will be required. For this reason, many people take the help of the agent and complete their work by paying a single amount. Such people believe that the work in government offices will be wasted for several hours. It may be that for this purpose, one or the other office will not have to rot. If you are also thinking about the help of the agent, then read the tips below, because applying online for the passport is now very easy. By the way, the process of making a passport is still long and despite the online application you will have to go to the passport office. But it is certain that you will not need an agent. 1. Visit the Passport Service website. 2. Click on the new user's box. This will take you to the registration page. 3. Visit the Passport Service website now. Select the passport office of the city you are living in. Also, make sure that you have written your name as it exists on your document. The rest of the form is very easy. It's no different from signing up on any other website. 4. Click on Register when the work is done. 5. Now that you have created your account, go back to the Passport Service website. 6. Click on the green button login button. 7. Type your email ID and click Continue. 8. Type your email, password and the characters created in the image. Then click Login. 9. Click on Apply for Fresh Passport / Reissue of Passport. 10. You have two options. You can download the form and fill it and then upload it back to the website, or it can be filled online. We would suggest that you fill the form online only. By doing this you will save time. If you want to download the form and fill out the form, click here to download the soft copy of the form. It is present in the first subheading on Alternative 1 page. 11. If you want to fill in the online form, then click on the option to click here to fill the application form online. This alternative is present on page 2. 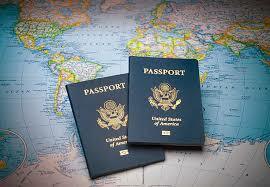 We will still suggest you choose this option because it is the easiest way to apply for the passport. 12. On the next page, you will have to choose between a new passport or re-issue, normal or immediate, 38 pages or 60 pages. Choose an option according to your convenience and needs and then click on the next page. 13. You will have to give personal information on the next page. Keep in mind that the information you are giving is completely compatible with the document you have. If you have any doubts then you can check this official instruction booklet. After filling the form, click the Submit Application button on the bottom right-hand side. 14. After completing the form, go back to the webpage once again, which has been mentioned in the 9th step. 15. Click View Saved / Submitted Applications. 16. You will be able to see the application which was submitted a while ago. Click the radio button next to it. Then click on Pay and Schedule Appointment. 17. Select Online Payment and click Next. Now the list of passport service centers present in your city will be screened. It will also mention the closest date and time for the appointment. 18. From the drop-down menu next to PSK Location, select one option according to your convenience. 19. Then type the characters created in the image. Then click Next. 20. Click on Pay and Book Appointment. 21. This will take you to the Payment Gateway page. As soon as your payment is complete, you will again go to the website of Passport Seva. 22. Now you will be able to see a page on which Appointment Confirmation will be written. This page will have full details of the Appointment from Passport Seva Kendra (PSK). 23. Click on Print Application Receipt. On the next page, you will be able to see the details of your application. Again click on the Print Application Receipt. 24. On the next page, you will be able to see the preview of the receipt. Again click on the Print Application Receipt. After doing this you will be able to print out your Appointment Confirmation. 25. You will need to print out this receipt for entry at the passport service center. Now you can reach the passport service center at the scheduled time. We are telling from our experience that if you have all the documents, then you should not take more than two hours.